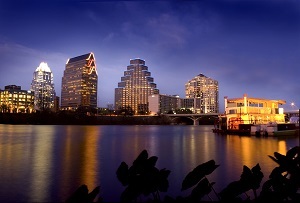 Austin, on the eastern edge of Texas Hill Country, is the state capital, the live music capital of the world, a center for film, home to the University of Texas and Formula 1's Circuit of the Americas raceway. The city’ parks and lakes are popular for hiking, biking, swimming, boating and other outdoor pursuits as well as a ballet, world-class museums and a unique shopping experience. Gruene look for the water tower to find this former German farming settlement turned ghost town turned artsy, revitalized community listed on the National Register of Historic Places. The Guadalupe River offers fly fishing in the southernmost trout stream in the Northern Hemisphere. Enjoy a wine tasting experience in Grapevine’s outdoor garden or shop for antiques. 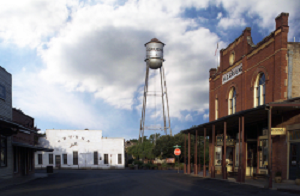 Georgetown with its Victorian Downtown Square and restored courthouse is at the crossroads of the Chisholm and Hill Country Trails and is home to the Palace Theatre. Fredericksburg is home to over 20 wineries offering tastings, barrel room tours, great views and authentic German cuisine. Main Street has over 150 shops, boutiques and art galleries. 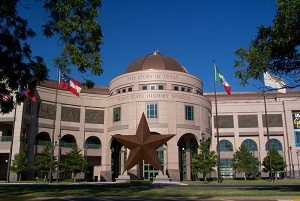 Also, the National Museum of the Pacific War with interactive exhibits, LBJ State and National Historical Parks where you can tour the 36th President's Texas White House. 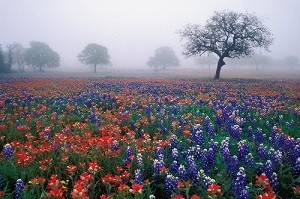 New Braunfels founded in 1845 by German settlers, is a small town with historic districts. Go for a swim, kayaking or rafting on the Guadalupe River or two-step at Gruene Hall, the state's oldest dance hall. Wimberley was a mill town producing in lumber, molasses and cotton and is now a hub for Hill Country arts, boutiques and outdoor adventures. Swim with other families at Jacob's Well, or hike through the scenic Cypress Creek Trail and Mount Baldy. Wildflowers and Gardens the best of nature all within the setting of rolling hills and area lakes: Zilker Botanical Garden — located on 30 acres with theme gardens interconnected with streams, waterfalls and Koi-filled ponds; the Umlauf Sculpture Garden exhibits sculptures by the 20th century American artist Charles Umlauf; the Lady Bird Johnson Wildflower Center with a diversity of wildflowers and other native Texas plants. Music Austin’s music roots run deep and no trip would be complete without sampling some live music. On any given evening, nearly 200 venues feature live music of all types – jazz, blues, country, Tejano, classical, folk and rock. 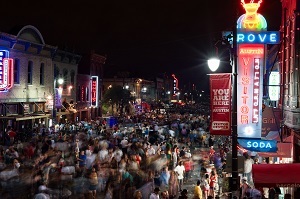 Festivals such as SXSW, ACL Festival, and Blues on the Green attract thousands of music buffs and bands and keeps Austin at the top of the worldwide music scene. Arts and Culture explore the museums, ballets, theaters and symphonies that thrive in this city; The Blanton Museum of Art at The University of Texas at Austin is one of the foremost university art museums in the country, and has the largest and most comprehensive collection of art in Central Texas; the Harry Ransom Center holds the very First Photograph and one of five Gutenberg Bibles in the US; the Austin Museum of Art, sits on twelve acres of beautiful parkland overlooking Lake Austin; the Mexic-Arte Museum, the official Mexican and Mexican American Fine Arts Museum located in downtown Austin. Adventure rolling hills and meandering waterways create the perfect playground for exciting adventure opportunities; hiking and biking around Lady Bird Lake in downtown Austin; the Barton Springs Greenbelt with over 7 miles of natural surface trails; climb Mount Bonnell, the highest peak within the Austin City Limits and beautiful views of downtown and Lake Austin. Zilker Park and Barton Springs Pool a 361-acre park with a golf course, a large playground for children, the Zilker Zephyr train, and Barton Springs Pool, an urban oasis with 68-degree, spring-fed waters. The Texas State Capitol largest of America’s statehouses and 14 feet taller than the U.S. Capitol. The LBJ Presidential Library chronicles the political life and times of LBJ. The First Lady's Gallery highlights the legacy of Lady Bird Johnson. Also, six decades of American history. Downtown a bustling area of commerce, cuisine, cocktails and the Capitol, a melting pot of finance and fun, as well as philanthropic conservation; the arts scene is alive and well with galleries and museums at nearly every corner. 2nd Street between Congress Avenue and San Antonio streets, this area is home to local and national brands, ranging from beauty, body and abode, to restaurants and pubs. Warehouse District as the name implies, many of the neighborhood's bars and restaurants are housed in renovated warehouses; a vibrant scene that draws a diverse crowd thanks to its range of live entertainment, restaurants, LGBT scene and unique shops. East Austin Arguably the fastest growing neighborhood in Austin, the eclectic eastside is where old meets new. 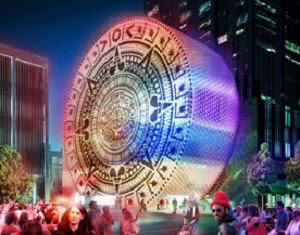 Discover rich history and culture, eateries and boutiques. 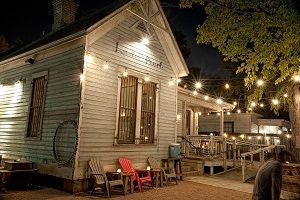 Rainey Street renovated houses turned into bungalow bars can be found on this increasingly popular street. South Congress This vibrant neighborhood south of Lady Bird Lake is a popular hangout for locals.